Perfect for lounging in when you get home from work, a good nights sleep and then breakfast round the table in the morning - our women's Ethan jersey shortie pajamas work effortlessly as a versatile modern-take on the classic pajama. Designed for a flattering but comfortable shape, our women's shortie pajamas will keep you looking great and feeling comfortable throughout the seasons. 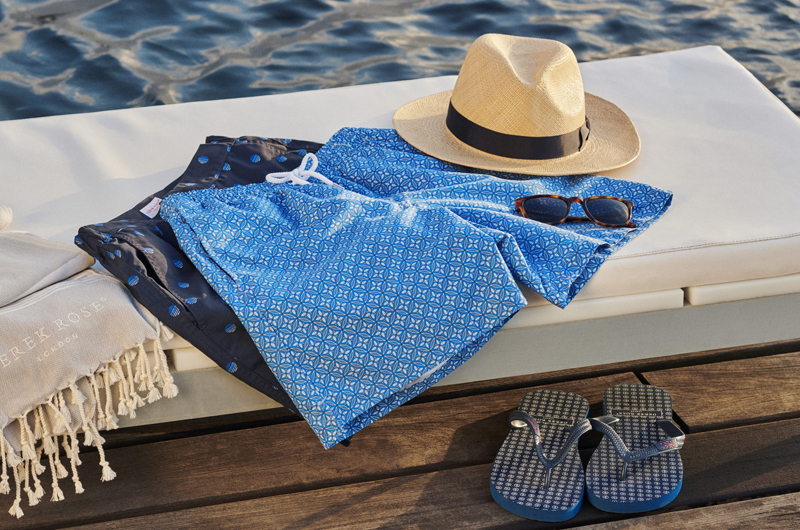 The short sleeve jacket top features a fully piped finish in a contrasting white piping for a stylish appearance and the shorts have piped cuffs with an elasticated and drawstring waist for practicality. 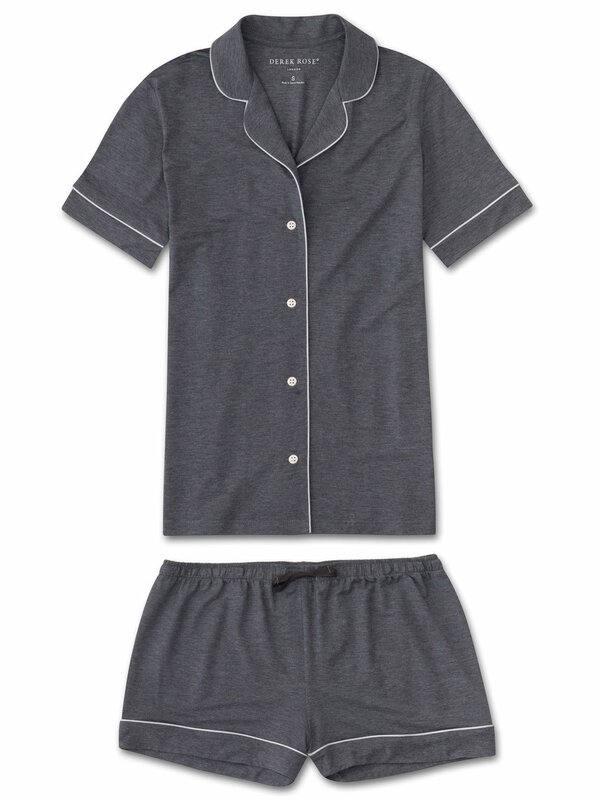 Not only is the Ethan soft, but thermostatic properties in the micro modal fibers allow them to react to changes in temperature and regulate your body heat, making this luxury jersey PJ set ideal for keeping you cool in high temperatures and warm in low temperatures. What's more, the Ethan fabric retains its initial softness and charcoal gray color and is also environmentally friendly; made from sustainably forested European beech trees using a process that is carbon neutral.